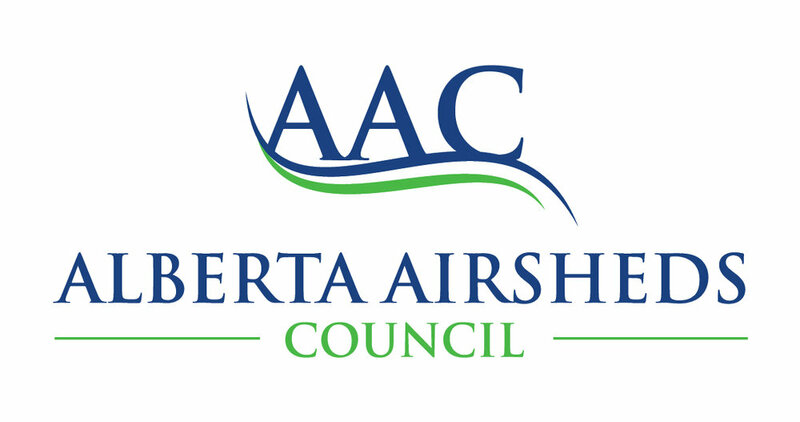 Alberta Airsheds Council includes membership from all ten Airsheds in Alberta and was formed to represent the collective interests of this collaborative group. The AAC provides a forum for Airsheds to work and learn together, to continue to advance effective and efficient air monitoring, reporting and outreach, and to address regional matters. The AAC and Airsheds contribute to provincial policy development by bringing regional perspectives to province-wide discussions. The AAC provides leadership in the monitoring of air quality in Alberta and is integral to continual improvement in Alberta’s air quality management system. The AAC promotes education and engagement on air quality issues that impact all Albertans. AAC receives funding from its members and Alberta Environment and Parks (AEP). We work in cooperation with AEP and the Clean Air Strategic Alliance (CASA) to provide leadership in support of healthy air quality for Albertans and the environment. Ten Airsheds formed in Alberta between 1996 and 2017. Airsheds now operate more than 70 air monitoring stations across the Province in compliance with all provincial and federal standards, including Alberta’s Air Monitoring Directive. Data collected by Airsheds contributes to the Air Quality Health Index (AQHI), which is reported in over 30 communities. The credibility of Airsheds’ data and programs relies on the multi-stakeholder, consensus-based governance of each Airshed. More than 50 municipalities, eight First Nations and Métis groups, 200 community members and 200 industry representatives contribute to the success of Airsheds across Alberta. Each of these direct participants represents a vast network of thousands of individuals and stakeholders interested in, and affected by the monitoring and resources Airsheds provide. Airsheds are a key partner with established regional networks for responding to local and regional air matters, and they participate in dozens of community education and outreach events each year. The local efforts of each of Alberta’s Airsheds ensures valuable community oversight and involvement in our collective goal of clean air. Click on the interactive map below to link to Alberta's Airsheds.